Preheat oven to 230° C (450° F). Remove dough from refrigerate and let sit at room temperature until softened. Roll out dough onto floured surface until 1/4 –inch thick. 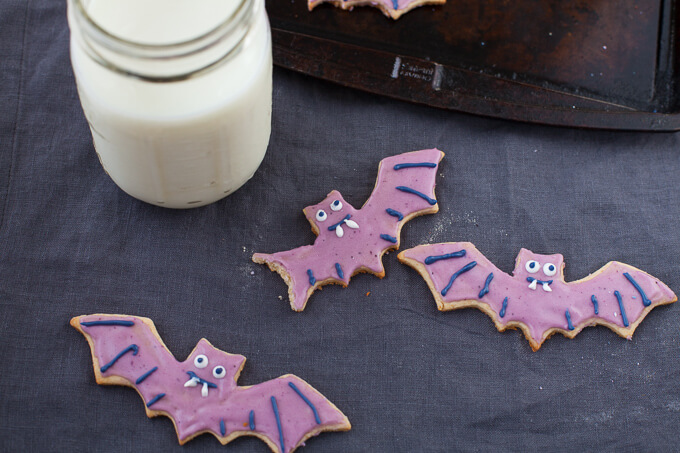 Use a bat-shaped cookie cutter to make cut-outs. Place cut-outs onto ungreased baking sheet and bake for 5-6 minutes, or until they have just set and gained some colour. Let sit on baking sheet for one minute and transfer to wire rack to continue cooling. 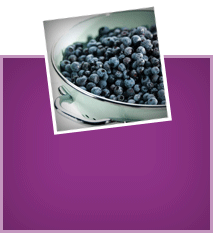 In the meantime, add powdered sugar, Greek yogurt and butter to a stand mixer or large bowl. Beat or mix on low until combined. 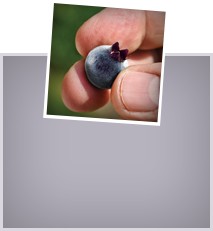 Add vanilla and 1 teaspoon (5 ml) wild blueberry strained puree and mix to combine. Decorate cooled cookies with icing and let dry before serving or adding other layers of icing for decoration.